Here’s a collection of miscellaneous game-related stuff. 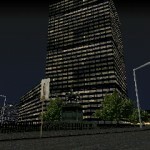 Info about some unfinished or unreleased projects, and also bunch of some older games. The oldest entries are for DOS platform – you may be able to run those using DOSBox emulator. Cinnamon Beats is quite an experimental concept I originally created for Assembly’2007 game development competition, with some help from my colleague Jani Kahrama. Idea was to combine 2D physics simulation with a goal of using physics to create rhythms. Think of Stomp musical, or music for one apartment and six drummers as a game. The initial prototype was quite crude and hard, but it still got the 3rd place in the competition. More interestingly Nordic Game Program agreed to fund the project forward, and the game also got to be a finalist in the next Independent Game Festival. So the concept certainly stirred up interest from being an unique and innovative idea. However, actually making a full polished product of the concept ended up being an enormous challenge. We got it to be a really nice musical toy, but perhaps for a too narrow niche. Working with the UI took a few total rewrites while trying to broaden the target audience. We also experimented with switching the target platform. In retrospect I believe the whole things hould have been kept in smaller scale and release it earlier as a prototype and see what audience it would find as is, since we had to put it on the backburner after we didn’t have more funding for it and there was still some crucial parts needing refinement before we were ready to release it. I worked at Sulake for two years. 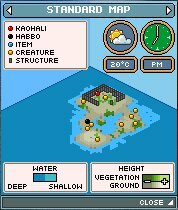 Habbo Islands was a game they were building for Nokia N-Gage (the original), and the initial prototyping and concepting was done when I joined the project. It was a fairly large project for a mobile game, and in the end the game had quite a lot of features and it was also quite well-polished. We delivered the game in time, and with excellent pass-through of the platform technical requirements/certification process. Still the timing of the project was awful in retrospect. When we finished it, it had just become apparent that the original N-Gage device wasn’t commercially successful enough as a gaming platform. Apparently this meant for Nokia that they decided not release the game yet and wait for a better time and other platform. As far as I know, the game is still unreleased. 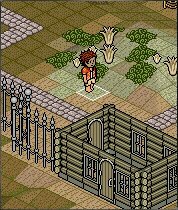 And here’s a few screenshots I found from home page of Åsa Roos, who worked as designer of the game. 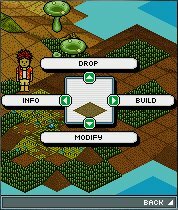 After Habbo Islands we also created two J2ME projects. 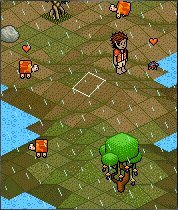 First one was this nice one-button action-adventure game with some lightweight rope physics. It was also ported for wide variety of handsets. 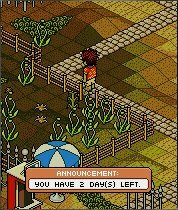 The game didn’t get released back then, but I heard it was released in some form as part of Habbo community promotions in 2009. 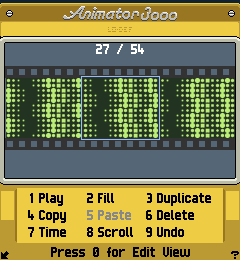 I found it is actually playable as a browser Java applet version (click the game first to put focus to the game, after that just use Space key to play). That is some kind of stripped down version though, since the original introductory screen, main menu and some other features have been totally removed (e.g. credits screen! ), left with a “straight to game” experience. 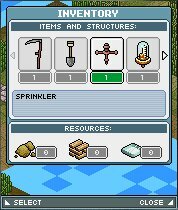 We originally never made such a Java applet version of the game, so this edition was totally new thing for me as well. The game is called “Tonga” (or “Tonga’s Adventure“). Our other J2ME project was an experimental community product tying with rest of web products by Sulake. The project was even my original concept and from the project I got the hard experience of pitching a product in-house to get it into production. The image here is a screenshot of the project – some more can also be seen in the slides of my IMGUI seminar. Unfortunately this project is left unreleased due to some company strategy shift regarding mobile products. Thanks go to Sulake for giving the permission to use images of the project there. I consider the experience of creating both of these J2ME projects as one of the delightful highlights of my career and still secretly wish that Sulake would one day release this latter experimental product as well, retrofitted to support todays common handset platforms. 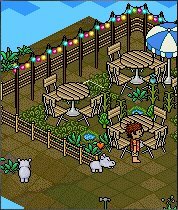 Mini Friday is a project Sulake spun off from the technology made for Habbo Islands. It’s a mobile chat room system for Symbian phones. I wasn’t an actual part of this little project. 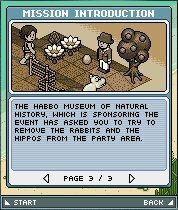 But since it is directly based on the Habbo Islands code, there’s a bunch of my stuff in there anyway. 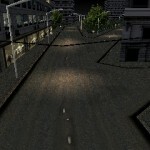 We were building a street racing game (no announced title) in 2005. It was cancelled during production phase due to Fathammer stopping internal game development. 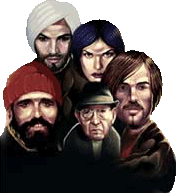 I worked as the lead programmer, with Lauri Mäki being the lead level designer. 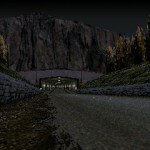 The screenshots are created by Tero Koivu. Stuntcar Extreme is a top rated racing game by Fathammer. I worked as Lead Programmer for the game. It is available for multiple mobile devices and platforms including Gizmondo, PocketPC, Symbian, Tapwave Zodiac and WIPI. 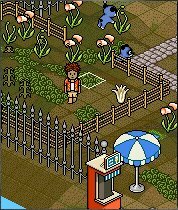 The game won the 2005 Handango Champion Award for Best New Application in Symbian Series 60 category. Stuntcar Extreme Advanced is a graphically beefed up version of the Stuntcar Extreme to take the full advantage of the advanced 3D hardware acceleration features available in high end mobile devices. I worked as Lead Programmer for the game, which is bundled with the Dell Axim X50v PDA. This game participated in 3rd Ludum Dare 48 hour game development competition. I actually had only about 12 hours to work on my entry, but I still got a little game done. Given theme for the participating games was “Preparation – Set it up, let it go” – so I created this game called Script Kiddie Karting. 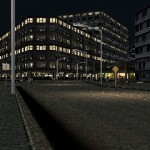 The player’s task is to write a vehicle script file. The game will drive a little car based on the commands given in the vehicle script. A successful script drives the car as fast as possible through all checkpoints up to the goal. There’s no internal script editor in the game so you can use your favourite text editor to edit the scripts. Be sure to read the README text file. Small Java game applet I coded in December 2000, including a Swing based level editor. Runnable version of the game is lost in some archives. I might dig it up one day. This is two-player game for Linux platform, requires separate login in same computer for each player. 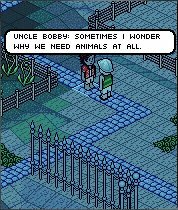 The goal is to pull a knot on a rope by typing right characters the game is showing to the player. Fly with vehicles and deliver passengers, or just visit platforms quickly. For 1-4 players. Requires DOS, so you may find it difficult to run on this on Windows. Go to the archive.org version of Starshift home page. A result of a school project for Java programming course. Space themed karting style pseudo 3D game prototype. Addictive little game. Music by Tense. Duff is a clone of the classic game Boulder Dash.